Winning an enduro on the international stage was a dream for Mazda from the moment Kenichi Yamamoto eureka'ed the production rotary engine into existence. The Mazda 787B was the pinnacle of its evolution, the first and only car to win the 24 Hours of Le Mans with a non-reciprocating engine in the race's 90-year history. With a fraction of the moving parts of a piston engine and a size-to-power ratio unheard of at the time, the rotary was seen as the engine of the future. Everyone from Mercedes to GM was scrambling to build a viable example, but only Mazda was able to bring it to market successfully. 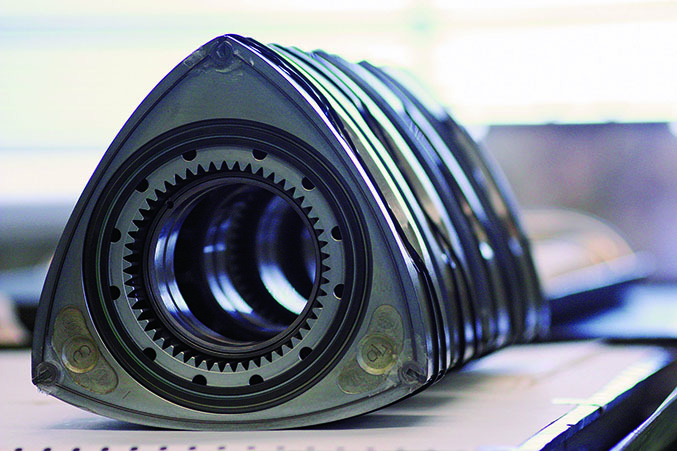 Engineers recognized the rotary's motorsports potential right away. 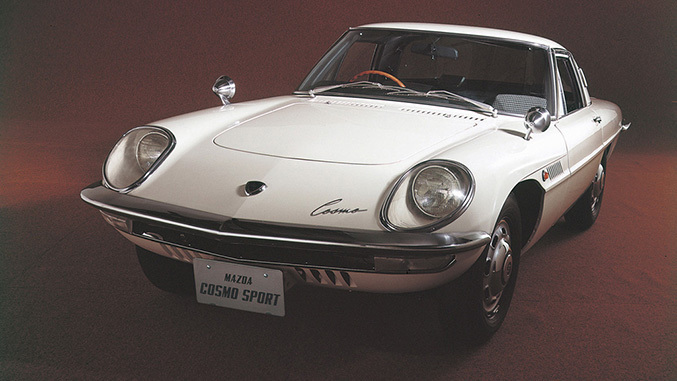 Its first application was the 1967 Cosmo Sport (pictured above), and Mazda immediately gave it a trial by fire at the Marathon de la Route, an 84-hour endurance race at the Nürburgring. In Japan's post-war Miracle Years, the nation's industry saw itself collectively as upstarts against established manufacturing powerhouses. Automakers had the drive and the know-how, but not the prestige of western nations. Mazda, even more so than Toyota or Nissan, felt it had something to prove. A much smaller company than even its Japanese rivals, it is to this day headquartered far to the west of Japan's industrial centers, in Hiroshima, a city synonymous with overcoming devastating odds. On the other hand, Mazda's isolation has arguably served the company well, allowing it to develop a maverick culture that resulted in the rotary. A year after the newfangled engine debuted, it entered two Cosmo Sports into the Marathon to prove their mettle. Things looked promising, but at hour 81 the Japanese team was forced out by axle failure, leaving the Belgian team to finish just shy of the podium in fourth place. With the taste of victory so cruelly denied, Mazda became more determined than ever to capture a rotary win and launched a decades-long, all-out offensive on the world's most storied endurance races. Throughout the 1970s Mazda tried desperately, but its lineup of small compacts, the modern equivalent of 323 and 626 compacts with roll cages, lacked the refinement to go head to head with purpose-built racers. The debut of the first-gen Mazda RX-7 in 1979 injected a new thirst into the company's racing program. 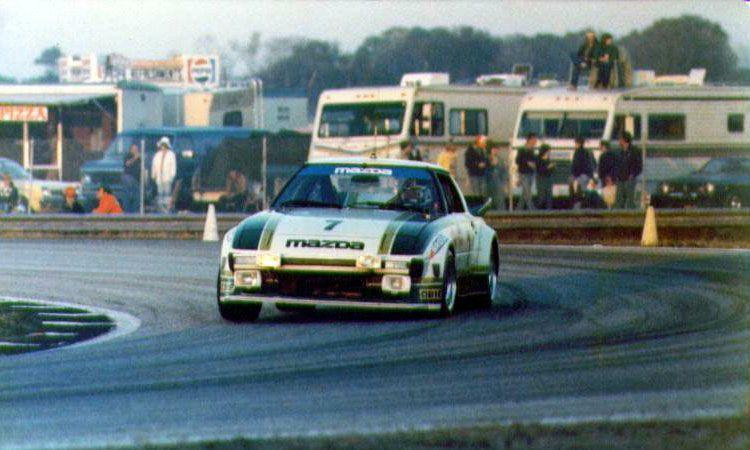 Mazda promptly won the GTU class at the 24 Hours of Daytona, coming in fifth overall in a field of Porsche 935s and Ferrari 365 GTB/4s that ran in larger displacement classes. Two years later, an RX-7 won the Spa Francorchamps 24 Hours. However, even as the RX-7 was racking up wins throughout the 1980s — taking five consecutive IMSA titles and dethroning Porsche as the winningest model in the series — the dream of winning the most prestigious endurance race in the world with a rotary engine remained elusive. Early attempts on Le Mans relied on heavily modified RX-7s, widened and bewinged (think Porsche's 935 to its stock 911) — ended in mid-pack finishes. It became clear that a purpose built machine would be required. The Le Mans car effort began in earnest with the 1983 717C, powered by the venerable 13B rotary, the same rotary found in the RX-7, but breathed on and mounted midship. 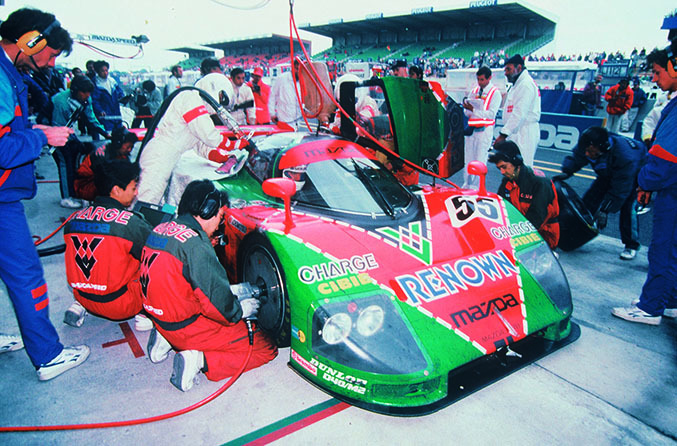 Though it achieved a first place finish in the Group C Junior class, even after suffering a series of inopportune tire blowouts, Mazda was not satisfied with finishing 18th overall, behind an army of top-level Group C racers. The mold for future Mazda Le Mans challengers had been cast. Mazda poured ever more yen and man-hours into racing prototype development, and with each year a new iteration debuted, clawing its way up through the ranks. The 717C gave way to the 727, which begat the 737, and so on, but the cars were often beset with mechanical or electrical troubles that dealt Mazda a string of lackluster finishes. By the late 1980s, Mazda was dominating the GTP class. However, Group C Porsche 962s and Jaguar XJR V12s continued to take overall wins, allowing Mazda no higher than a 7th place finish. For an outright victory Mazda needed more power, and began developing what denizens of the "no pistons!" 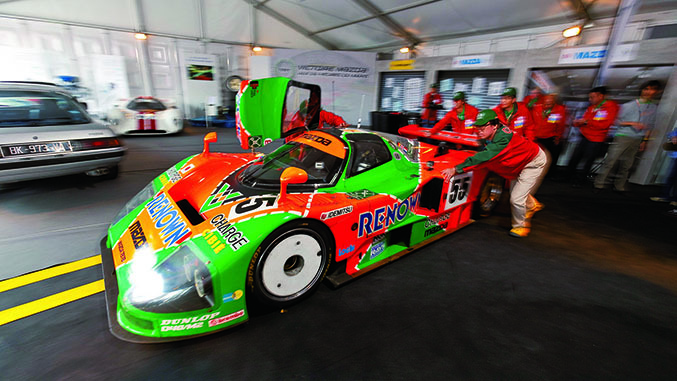 camp consider the greatest powerplant Mazda ever built: the quad-rotor R26B. Mazda took every performance enhancing trick it had gleaned from two decades of rotary development — peripheral port injection, three-sparkplug ignition, ceramic apex seals — and multiplied it by four. The miracle motor was wrapped in a carbon fiber and kevlar composite monocoque 50mm flatter than the outgoing 767. A massive front-mounted radiator funneled air through the nose, exiting over the body via a vent that made the entire span between its headlights essentially one large, downforce-generating spoiler. The massive rear wing was dropped down so far that at some angles it looked like it sat below the bulk of the body. According to Mazda, the 787B was 30 percent more aerodynamic than its predecessor, the 767B that had won the GTP class. The goals Mazda set for the 787 were lofty: 800PS (789hp) at 10,000 rpm, a 350 kph (217 mph) top speed, and most importantly, it had to achieve victory in the year of its debut. That's because tea leaves were pointing to a rule change on the horizon. The Automobile Club de l'Ouest sanctioning body was preparing to hand down new regulations that would make the 3.5-liter V10 the only type of engine admissible, effectively banning the rotary engine from competition. 1990 was thought to be Mazda's last shot at proving the rotary in the highest echelons of motorsport. Pulling no punches, the team fielded three cars, two new 787s and a well-used 767B, recruited a lineup of Formula One drivers and even enlisted six-time Le Mans winner Jacky Ickx as a consultant. Sadly, it was not to be. Just past the halfway mark both 787s began to experience a laundry list of maladies, from wheel hubs to overheating to a damaged wiring harness. Both dropped out, leaving the old warhorse, the leftover 767B, to once again take the GTP class win while placing only 20th overall. It was a disappointing defeat. It seemed like the end of the road for Mazda's Le Mans aspirations. And it would've been, except that in 1991, the year the new engine rules were scheduled to take effect, there weren't yet enough 3.5-liter V10s to fill the grid. Organizers allowed the "obsolete" cars to re-enter, granting Mazda an unexpected reprieve and giving the rotary one last shot at greatness. 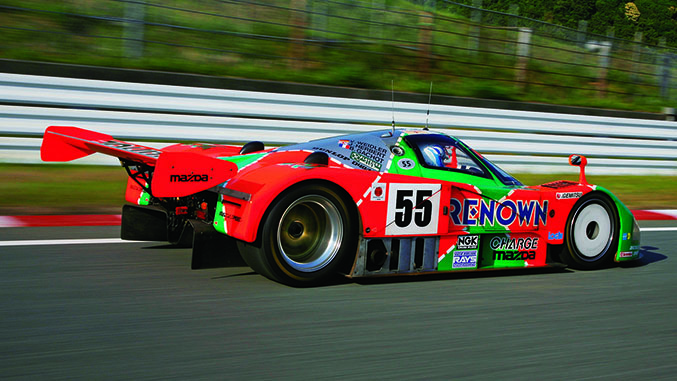 Mazda entered two 787B racers, which featured slightly modified aerodynamics, new ceramic brakes and a wheelbase stretched two inches for stability. Again, Mazda fielded a third, leftover 787 from the previous year as a backup. Two cars wore the standard Mazda blue-on-white racing colors while the No. 55 787B was slathered in the garish orange and green livery of clothing company Renown. Its racing number, 55, pronounced "go, go!" in Japanese, became Mazda's unofficial battle cry. There was a catch, though. Despite placing as high 12th in qualifying, Le Mans officials gave the 3.5-liter cars the top spots on the starting grid. That meant Mazda would start no higher than 19th, mixed with the Group C Sauber-Mercedes, Jaguar XJRs and Porsche 962s. At 4pm on June 22 the green flag dropped. Within the first 12 laps, the No 55 car driven by Volker Weidler, Johnny Herbert and Bertrand Gachot had passed all the Porsches and climbed as high as third. The older cars had proved faster than the 3.5-liter machines, and as the race wore on the main contenders settled into a pattern: a trio of 5.0-liter Sauber-Mercedes V8 turbos kept the top three spots, while the No. 55 Mazda diced it up with one of the Jags for fourth. The Mercedes triplets had the speed and durability and were favored to win. As night fell, though, one of the three Benzes fell back with mechanical troubles, moving everyone up a spot. However, it wasn't until just after the 11-hour mark that the 787B pulled ahead of the top Jaguar and began separating itself from the previous year's overall winner. An hour later, a second Mercedes dropped out of contention, moving the Mazda into second place. As the rotary hounded the leader, the last remaining Mercedes pushed on harder, still keeping a four lap lead. For nine hours this standing remained, and it seemed all but certain that the Mercedes would clinch the victory. Then, in hour 21, the lead Benz pitted with cooling issues. Minutes later, the Mazda climbed into first and a cheer roared through the stands. The Jaguars didn't have the speed, and as long as the 787B didn't break down victory was assured. Enthusiasts often claim that they'd own, say, an RX-7 if it wasn't for the ticking time bomb that is the rotary engine. Rotor-heads, on the other hand, counter with the belief that rotaries are in fact reliable and the rest of us are idiots. On June 23, the latter were proven right. The legacy of the Mazda 787B endures to this day. It's easily among the most recognizable and beloved prototype racers of all time and a god to fans of the pistonless wonder-engine. Two decades ago its deafening four-rotor wail could only be experienced at Sarthe, but now its gone viral online. There's even a video about how the producers of Forza recorded the loudest exhaust of the video game series. 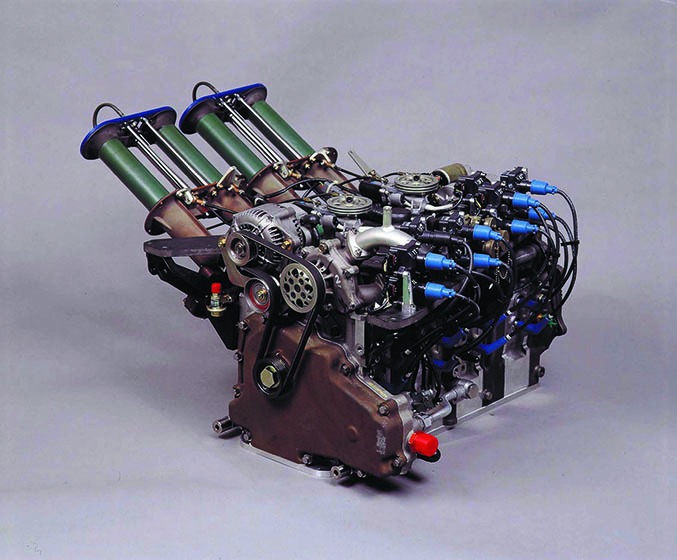 The following year, Le Mans organizers fully enacted the rule change to 3.5-liter V10s. 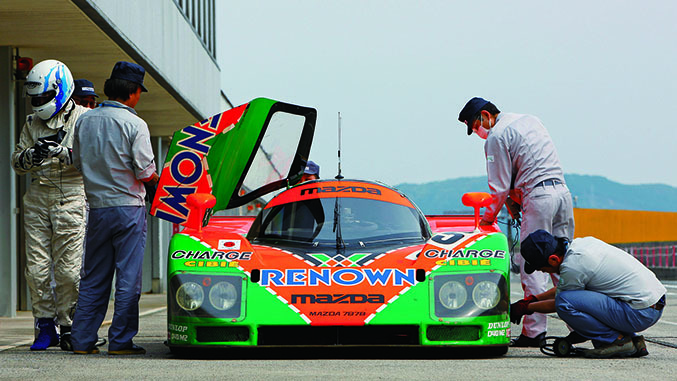 Mazda, having attained the goal it had set out to achieve 24 years prior, retired the 787B from service. It currently resides in the Mazda museum in Hiroshima.